We create educational trips, retreats, and getaways for the adventurous female traveller looking to connect with likeminded women! Welcome To Travel Girls Getaways! Brought to you by the founders of We Are Travel Girls, Travel Girls Getaways brings women together from all over the globe to explore incredible destinations. We offer educational retreats, active trips and tours hosted by our founders Becky van Dijk and Vanessa Rivers for women looking to travel with other like minded female travellers. Our girls getaways take you on an adventure to a new destination, give you an opportunity to learn new skills, immerse yourself in local culture and most importantly make lifelong friends! Explore the lush tropical island of Bali with 13 women and take your blog or business to the next level with our boutique blogging workshops hosted by Becky van Dijk. Join us as we head to Malawi for a safari and charity trip in collaboration with The Responsible Safari Company. Give back by mentoring young women in the community. 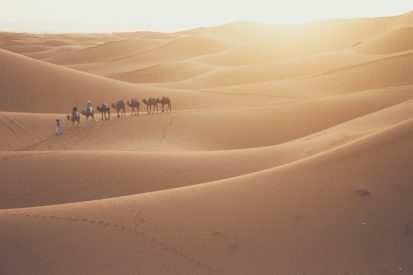 Join host Becky van Dijk on a tour of Morocco, including staying in luxurious riads, exploring the best of Marrakech, and a once in a lifetime luxury glamping experience in the Sahara Desert! We Are Travel Girls is a global travel community created to inspire, connect, educate and empower female travellers around the world. Founded by Becky van Dijk and Vanessa Rivers in 2016, the two friends have gone on to launch Travel Girls Getaways to bring their community together on epic trips around the globe. Travel Girls Getaways are trips for the adventurous female traveller looking to connect and travel with like minded women. 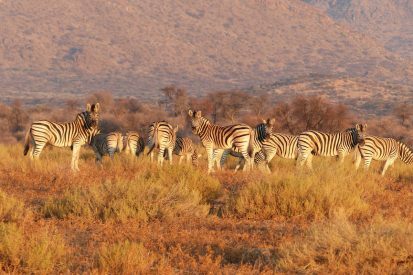 We offer a variety of trip styles, so whether you are looking for an educational retreat, an active escape, a photography tour, a cultural experience or a charitable expedition, we have a trip for you! The women who join our trips are from all over the world, from different backgrounds and with a variety of goals and reasons for wanting to come on a Travel Girls Getaway. The one constant we have found is their desire to create lasting friendships and connections with a group of other travel loving women! and book the trip of a lifetime! Becky van Dijk and Vanessa Rivers are the founders of We Are Travel Girls and Travel Girls Getaways. They are the women behind the trips that we create, working through the year to bring you new destinations, unique experiences and once in a lifetime trips! Our trips are hosted by one or both of the founders and some trips will be co-hosted by other professionals, photographers, videographers or bloggers. Becky is the lead host and mentor on our trips. 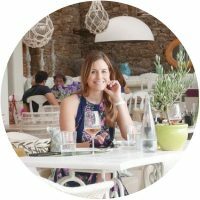 As a founder of We Are Travel Girls and Travel Girls Getaways she leverages her entrepreneurial knowledge together with her background in finance to teach you everything you need to know to kickstart your blogging or entrepreneurial journey! A co-founder of both We Are Travel Girls and Travel Girls Getaways, Vanessa is a co-host on many of our active adventure and charitable trips. 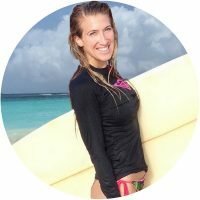 Having worked professionally as both a surf and ski instructor, blogged for several years and designed her own eco bikini brand, Vanessa has a wealth of skills and knowledge to share! Coming from a legal and computer forensics background, Ryan is our resident organizer and tech nerd. 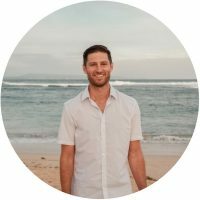 He is an experienced world traveler and assists our guests with any pre-trip questions, travel arrangements and overall running of our retreats. If you are nice to him, he will probably help you with some website tips too! This Trip Was A Once In A Lifetime Experience! This trip was a once-in-a-lifetime experience, run perfectly by Travel Girls Getaway! It’s always scary going to a new country and continent, let alone going with a group of girls you haven’t met. This group and this trip was incredible from start to finish. Becky and Vanessa took the time to get to know each traveler and we felt like a group of close friends, not strangers who booked the same trip. The itinerary was perfect for my first time in Africa; we got to experience all aspects of Malawi. The community impact project was a truly meaningful and inspiration aspect of the trip, and I loved taking a break from touring to immerse ourselves in the culture and community. Everything Was Planned To Perfection! This trip to Malawi was everything I imagined and so much more! Everything was planned to perfection! My favorite part of traveling is the chance to connect with new people and this trip provided that in a much grander way than I’ve ever experienced. From connecting with the amazing women on the trip to connecting with those in the communities of Malawi this is a trip I will never forget!! Learning in a Beautiful Place with Amazing Women! Hands down my favorite part of the retreat was meeting 12 other AMAZING women! I loved that from day 1, it felt like we had all known each other for years already. It was super helpful to be able to learn from WATG as well as the other women in the workshops. Everyone is doing something different, so it was really interesting to learn about how others are building their brands and what is working for them! Ready To Join Us On The Adventure Of A Lifetime? !